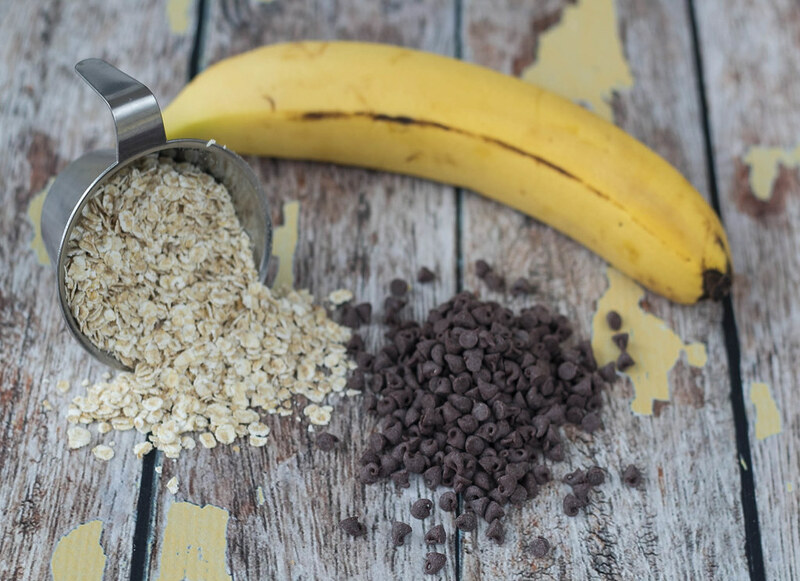 This is a recipe for some small and healthy chocolate cookies based on banana and oatmeal. Actually, we are not sure that cookie is the right word for these cakes. They do look like small cookies but they have a slight different consistency. 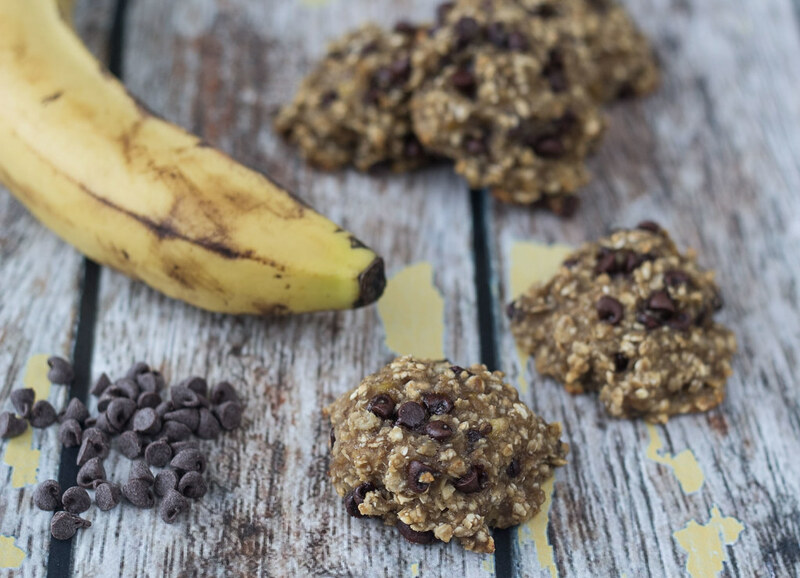 The banana makes these cookies soft but still a bit chewy. 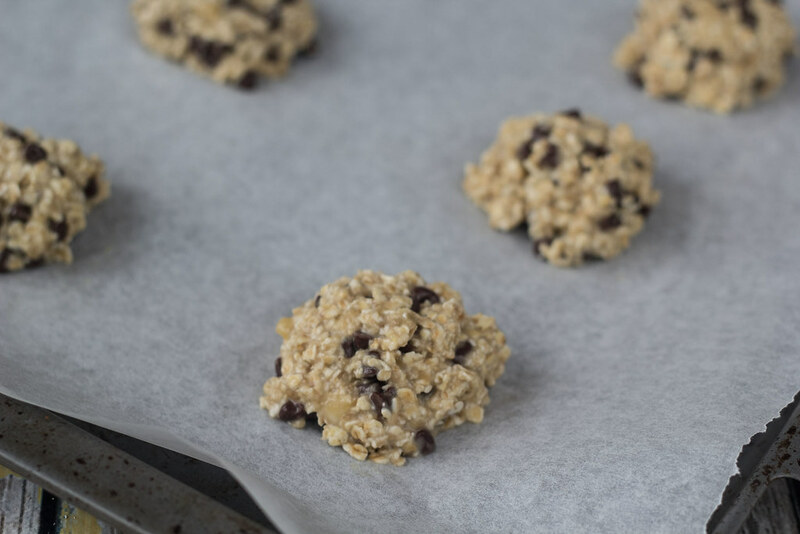 Instead of using sugar, these cookies are sweetened by banana which makes them a healthy alternative to regular cookies. They also doesn’t contain any oil or butter – we personally think they are wonderful. It takes about 30 minutes to cook of a batch and the preparation time is only about 10 minutes. We normally use they as a snack in our lunch pack. They are also great in the afternoon when you are hungry and you haven’t even started cooking dinner. If you want a different variant of these cookies we can recommend trying to substitute the chocolate with raisins or chopped nuts, like almonds or hazelnuts. One cookie contain about 50 calories. 1. 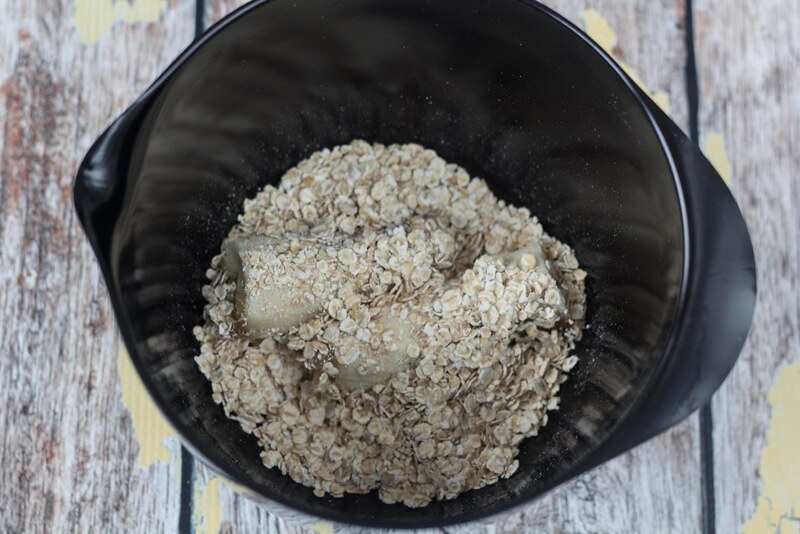 Peel the banana and mix it together with the oats. 2. 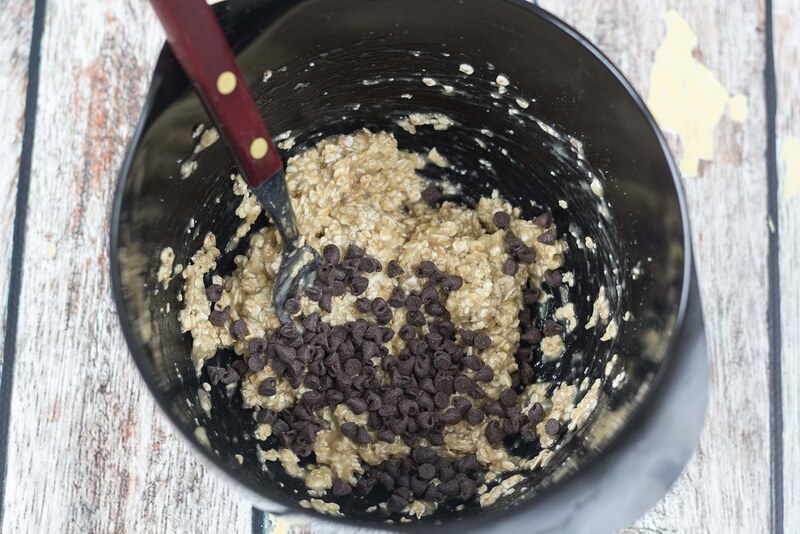 Add the chopped dark chocolate and mix again. 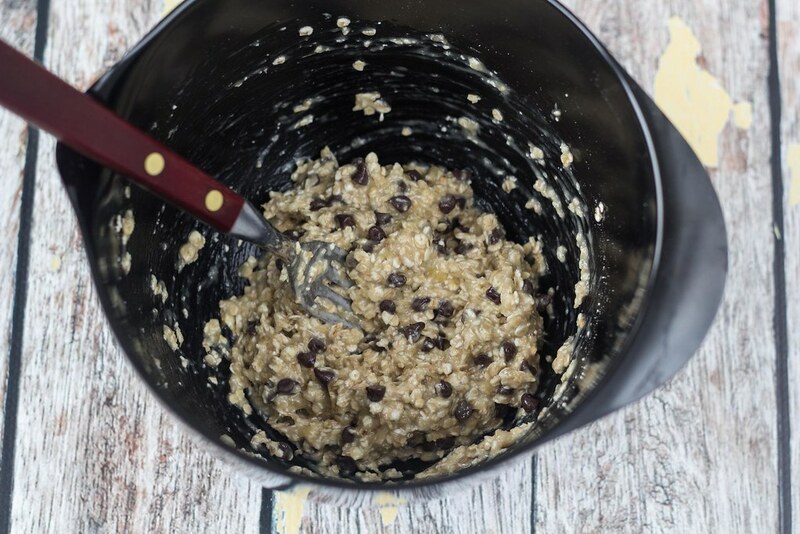 You can also use chocolate chips if you are lucky to live in a country where you can buy them. 3. 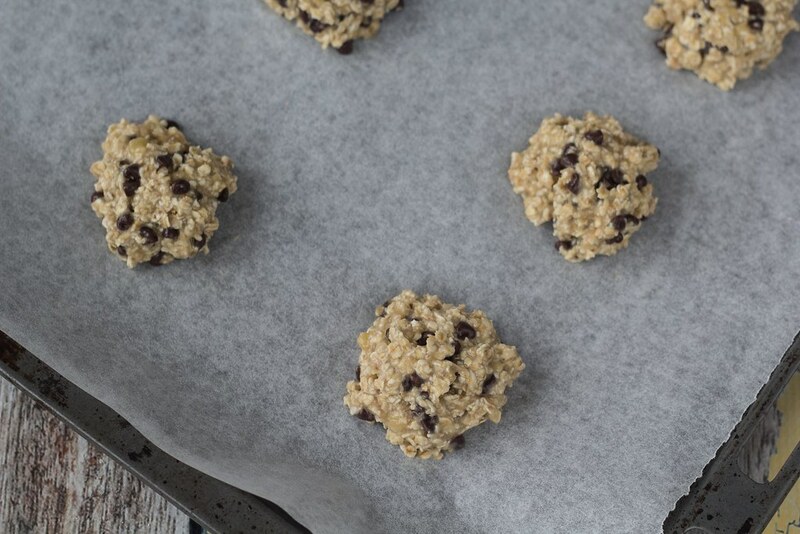 Use a tablespoon; shape small cookies and place them on an oven plate lined with parchment paper. 4. Bake the cookies at 175 C (350 F) for about 12-15 minutes. 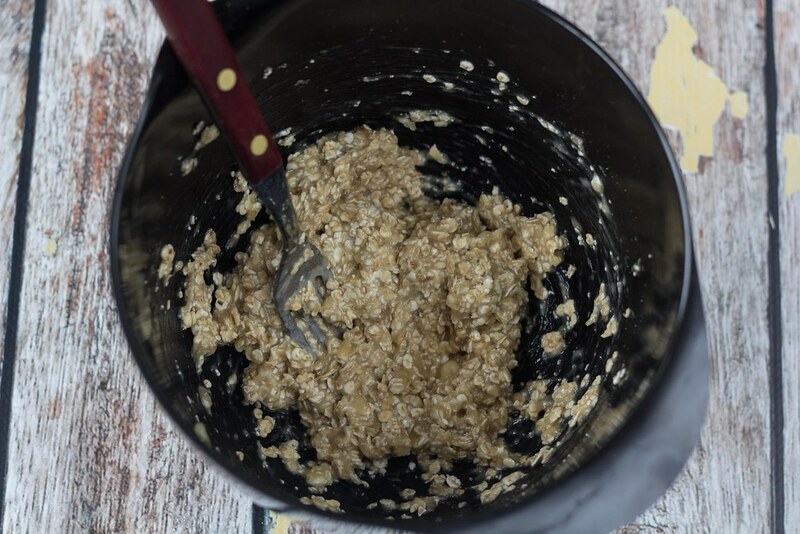 What would be the result if I added eggs to this recipe? 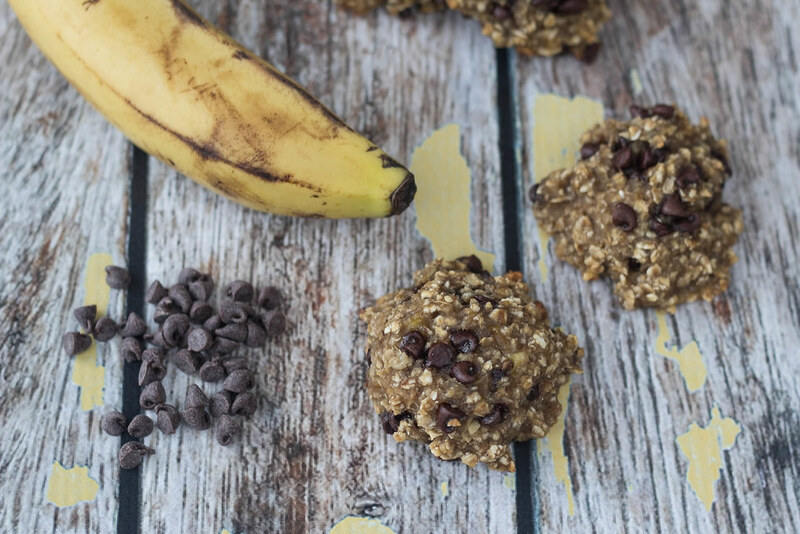 This probably sounds like a silly question but do these cookies taste of banana? I have just made a refined-sugar-free cake with bananas where you can’t taste the banana but it sweetens it. I ask because I can’t stand the taste of bananas! Hi Helen. Actually that is a relevant question. I personally don’t think that they taste that much of banana. They are super fast to make so I think you should try making half a portion and see if you like them.